According to the National Highway Traffic Safety Administration (NHTSA), more and more Americans are regularly riding a bicycle. Whether it is for commuting to work, running errands, getting exercise, or just for fun, riding a bike is a great way to get around and offers riders a unique experience with plenty of fresh air. However, riding a bicycle also comes with serious safety risks. Cyclists lack protection and are liable to receive major injuries in the event of an accident. California is one of the leading states for bicyclist deaths per capita. Compared to the national average, Bicyclist fatalities accounted for about twice as many of the total number of collision-related deaths in California. 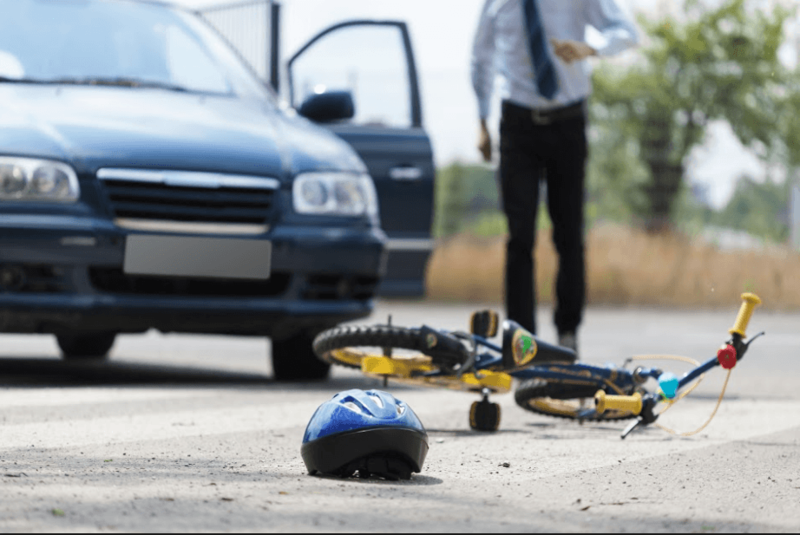 Recent years have seen a significant increase in the number of fatal bicycle/vehicle accidents across the state. Failing to stop at a stop sign or red light. Opening vehicle doors without looking for oncoming bicyclists. Driving under the influence of drugs and/or alcohol. Failing to check for cyclists before changing lanes or making a turn. Failing to give cyclists the right-of-way. Many of these injuries drastically affect people’s lives and can take years to recover from. In some cases, the symptoms of these injuries may never go away completely, meaning that injured individuals need a lifetime of medical care. Watch YouTube Video: Bike Safety - Safe Cycling Tips for Adults. This short video by AAA provides valuable tips for safe cycling. If you or a person that you love was injured in a cycling accident, taking legal action as soon as you are able is vitally important. The sooner an attorney begins collecting evidence and preparing your case, the more capable they are to prevent responsible parties from disclaiming responsibility. Even if you are unsure whether or not you need legal representation, a Woodland bicycle accident lawyer with experience handling injury cases will be able to help you understand what you may be owed. Most lawyers will offer you a free consultation where you can get valuable information about the details of your case. If you’d like to speak with me, you can call my local number, (530) 392-9400, so that we can talk about what legal options are available to you. Pain and Suffering (including therapy and treatment for emotional trauma such as anxiety, depression, and post-traumatic stress disorder). Lost wages and/or income as well as loss of earning potential. Repairs to your bicycle and any other damaged property. Medical costs related to the accident including physical therapy, medications, surgeries, and more. All of these requirements need to be met based on the preponderance of case evidence. This basically means that the evidence needs to tilt slightly in your favor for you to be able to obtain financial compensation through a personal injury claim. This is another excellent example of why hiring a skilled, experienced, and competent Woodland bicycle accident lawyer is essential. A good attorney will know how to convince courts to award you full compensation. While most cases don’t go to trial and are settled in private negotiations, having a strong case prepared is important in convincing insurers to pay you a fair amount for your losses. I’m Ed Smith, a Woodland bicycle accident lawyer who has over three decades of experience representing the victims of traumatic accidents who’ve suffered critical injuries. Please get in touch with me today at either (530) 392-9400 or (800) 404-5400 to get my free, friendly legal advice. I am ready to begin helping you and your family obtain the financial recovery that you deserve. To learn about how I’ve previously helped my valued client, check out the reviews they have written about me on Google, Yelp, and Avvo. For more information, read through the Verdicts and Settlements our personal injury lawyers have obtained on behalf of our clientele. I’m a member of the Million Dollar Advocates Forum. This forum is comprised of top-rated lawyers who’ve resolved a case worth over $1,000,000 in value for a client.